British government official agencies are the patrons, managers and funders of the White Helmets, who have been the go-to source for the mainstream Western media reporting on the ongoing Syrian war. 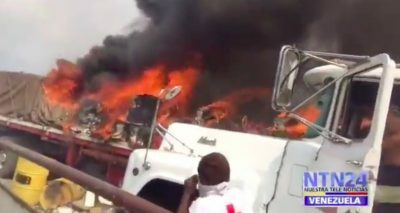 For good measure, the U.S. State Department’s Agency for International Development (USAID) has kicked in $23 million to finance Mayday Rescue, the cutout between the White Helmets and the British Ministry of Defense, the Home Office, the Foreign and Commonwealth Office and 10 Downing Street. This is all a matter of public record, yet no Western major media outlet has bothered to include these “data points” in their lavish coverage of the White Helmets. A New York Times op-ed (12/11/17) warns of “efforts by government authorities to shape and control online discussions”–but doesn’t mention the government authorities who pay most of the author’s salary. 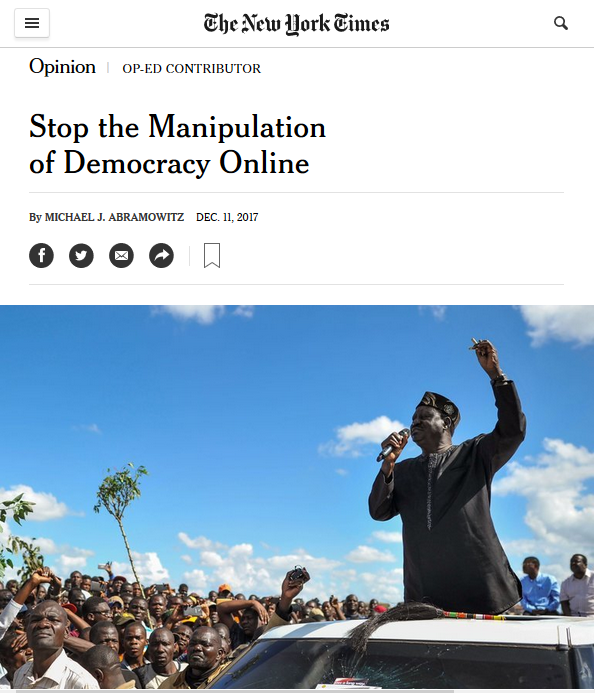 An op-ed by the president of the right-wing human rights group Freedom House, published in the New York Times Monday (12/11/17)—later boosted by New York Times chief White House correspondent Peter Baker—warned of the menace of “commentators, trolls, bots, false news sites and propaganda,” and their negative effects on democracy. Missing from its analysis was any account of how the government that funds their organization—86 percent of Freedom House’s budget comes from the US government, primarily the State Department and USAID—uses social media to stir unrest and undermine governments worldwide.